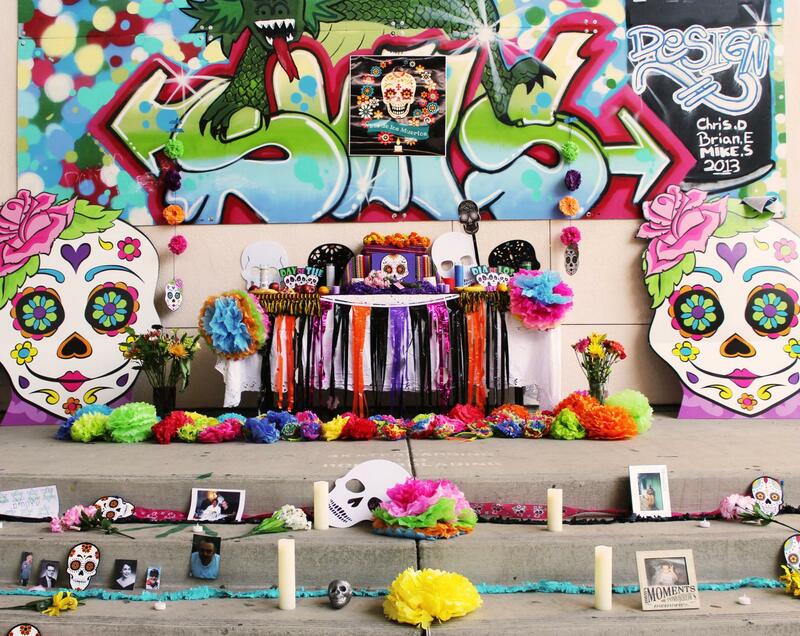 Music was blaring, feet were tapping, and descendants were commemorating as the SVHS Día de los Muertos celebration took place Nov. 1 in the middle of the H building courtyard. With five clubs and the class of 2019 running the celebration, the Latinx community at SVHS brought some of their family traditions to campus. The first year festival was a huge success, replacing the Cinco de Mayo celebration of previous years. The celebration took place at lunch with framed pictures and flowers on the steps of the H building courtyard honoring loved ones of SVHS students who had passed. As the bell rang, signaling the end of lunch, and the end of the celebration, students walked to their 6th period class after commemorating their loved ones.